Fancy a bit of bank holiday reading? 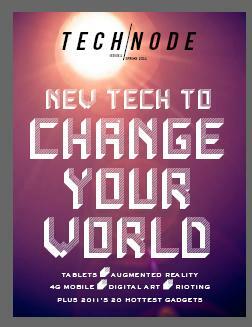 Check out our new free gadgets and tech magazine Technode. * The summer’s 20 top gadgets. If you have an iPhone/touch you can download the mag from Magcloud here. Note that reading the mag on the iPhone is easier if you read it in iBooks or another reader. If you want a print version you can have one from here, but there is a charge. Spotify partnering with Facebook: Will it bring back Spotify Free?